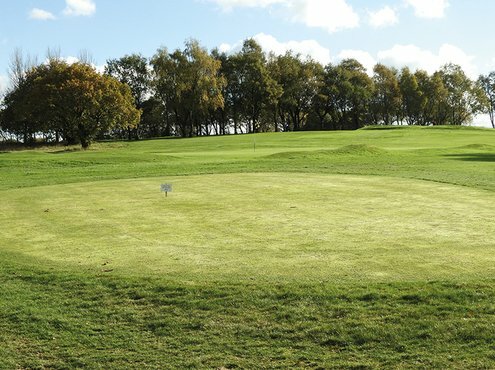 Founded in 1897, Chorley Golf Club has developed a reputation of being one of the finest golf courses in the area and recent improvements to both the course and clubhouse have further enhanced its standing. Lee Williams met Head Greenkeeper Tony Grayson to discuss the changes. 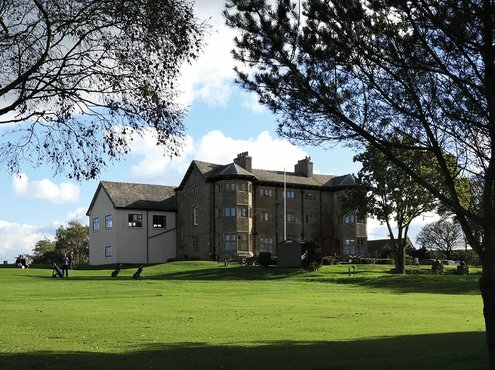 This well-established golf course is set in 127 acres of rolling moorland with stunning views stretching from the South Lakes to North Wales. The 18-hole course provides an excellent challenge to both the skilled and less skilled golfer. The aim is to provide members, guests and visitors alike with the best possible golfing experience. 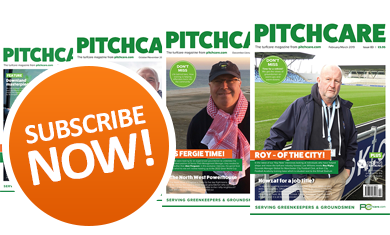 I have been to Chorley Golf Club many times in the past when I worked in sales, and this is how I first got to meet Tony Grayson the Head Greenkeeper. I was looking forward to meeting back up with him as it had been 4½ years since I last visited the course. The first thing that stands out when you turn into the car park is the beautiful old clubhouse which, along with the course itself, has a rich history behind it. This is where I met up with Tony to have a walk around the course; luckily it was a clear day, and the sun was shining. I say this because the course has some great views; as soon as you look down the first tee you are greeted with a picturesque view of Winter Hill. 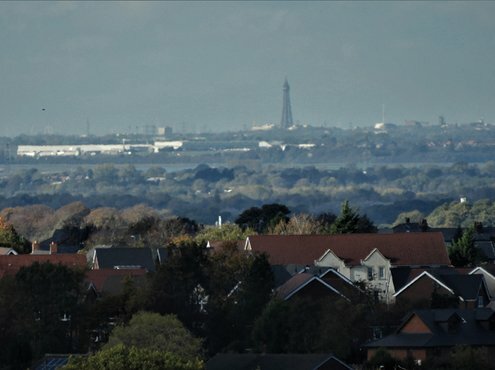 Walk further round and, on a clear day, you can see Blackpool tower in the background and, if your eyes are as good as Tony's, you can also spot The Big One rollercoaster. Unfortunately, even with my glasses on, I couldn't make it out. Tony first joined Chorley Golf Club in 1998 as Deputy Head Greenkeeper, then became Head Greenkeeper in 2000. Tony first got into greenkeeping when he was a junior golfer at Breightmet Golf Club whilst studying for his A-levels at college. After he gained his A levels, he wondered what to do, but then fate lent a hand. Whilst at the golf club one day he was asked if he would like to help the greenkeepers, something he did for six months before qualified greenkeepers were brought in and he had to move on. 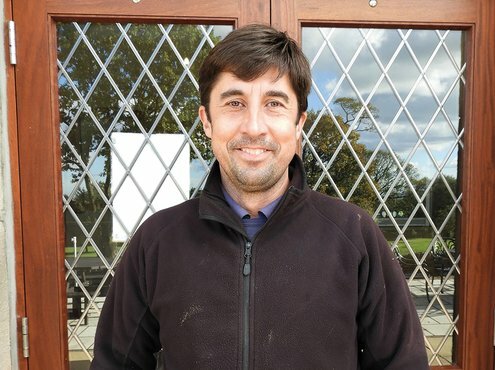 He moved to Dunscar Golf Club as an assistant greenkeeper and finally to Chorley Golf Club and never looked back since. In his time spent at Chorley, he has gained NVQ levels 1, 2, 3 and 4 and holds all relevant spraying certificates. The golf course is a mix of parkland and heathland, as Tony explains. "There are hints of parkland in there, especially around the clubhouse, which I'm guessing may have been the gardens for the house at one point. It's just totally different, it grows like mad and is really lush. Then we have other areas that are rich with moorland grasses, I would say we try and be a heathland course. The current architect Paul Thomas, who has been working with the club, tells me this area is called Heath Charnock, so it should be a heathland course. It's a par 71, with a total yardage of 6,284 and the course is around 52 acres." When it comes to staff, Tony feels lucky as they have always held onto the team. He has two supervisors Peter Doidge, thirty-six years served; John Cottam, fifteen years' service; plus two assistants -Daniel Woan, five years served; and Chris Riley currently served two years and in his second stint at the club after trying his hand at plumbing. Since Tony joined the club, the STRI has been a constant when it comes to advising and testing. "The knowledge they have and the testing that they do, backs me up". I know of golf courses I have visited in the past who have managed to get machinery they have been asking for through the help of a report from STRI; is this the case for you I ask Tony? "Yes, they look at what machinery you have, how many staff you have, but luckily we have always been a team of five. We have two visits a year, one on the agronomy side and one on ecology and receive two reports." Tony goes on to tell me that the greens are push ups. "For the last fifteen years, under the advice of the STRI, we have applied 120 tonnes, so we have quite a build-up of topdressing now. There are drill and fill channels in there which we did ten years ago when I changed holes. Now there is a layer of about three inches of topdressing on top of those channels, so that's how much we have built up." Over the years, the team has also managed to put drains in nine of the worst greens on the course, alongside the maintenance work, this now allows the greens to be played pretty much twelve months of the year. Tony likes to use the temporary greens, "In a frost, we generally come off, but we also come off when there is a ground frost as well when they are thawing; that is the most difficult one to get through to members." Earlier on our course walk we had the argument of staying on summer greens all year round, even when there is a frost. "That is the debate," continued Tony. "Do you come off in frost, and what damage does it cause if you stay on, but sometimes I like to use it to give the greens a rest, because we are a busy course. You have got to question whether any damage is actually done - you never actually see the footprints but, for me, I have always been brought up with 'if it's frost, you're off'." The greens are cut every day with a John Deere triple mower with brushes attached, but during periods of drought like last summer, they will alternate between rolling and cutting to give it a bit more protection. Cutting heights for summer, Tony will try and get 3.25mm for the captain's and club championships, but then it will depend on the weather. In winter, he will lift it to 5mm. Throughout the season he will verti-drain at a depth of ten inches and also solid tine to a depth of three inches. He hasn't hollow cored his greens for years. "My organic matter is at controllable levels but, saying that, we are going to hollow core a few of our more problematic greens." The greens are currently made up of 50% bents and 50% meadow grass. "We overseed every year in September with bent grasses, which seems to work well. We don't bother with fescues as I feel we don't have the conditions." Tony has soil samples taken once a year. From the results, a fertiliser programme is drawn up. He has no strict rule on the input of phosphorus and potassium, but he specifies he wants no more than 80kg of nitrogen going down in twelve months. He starts with a granular 5-5-10 in April giving him 15kg of nitrogen, then he will go on with liquids rootmass plus, phosphorites, nitrogen, this gives 3kg of nitrogen. From June/July he will use a 15-0-0 urea-based liquid nitrogen with calcium, giving 10kg of nitrogen, alongside a wetting agent and phosphorites throughout the summer. He finishes off with an autumn feed of a granular 5-0-27 which gives 15kg of nitrogen. Tony tries to hold off when it comesto fungicides. He had just sprayed a preventative of Instrata at the end of September but, before that, he had sprayed with Heritage nine months previously in December. "Through the summer I always see bits of disease, but I always let it ride; it's growing out as quick as it's forming. I would only spray if the weather conditions were looking conducive for it and it got out of hand. I have, for the first time in a long time, had some anthracnose, but you will probably hear that from a few other greenkeepers." A regular programme of scarification is carried out at a depth of 3mm alongside a sand topdressing programme and regular aeration. This shows in the organic matter results from the three test greens. The organic matter 0-20mm is 5%, the target range is 4-6%, so they are bang in the middle with that, 20-40mm is 4% again in the target range and a pH level of 5.7. The roots are at a depth of around eight inches which Tony is more than happy with. He puts this down to the aeration programme. As well as the greens, the tees and fairways have regular aeration programmes, and scarification is also carried out. Tony is going to start fertilising the tees in a similar way to the greens and also use Primo Maxx. "I want to try and improve the surface, so it will withstand the wear and tear a bit more," he comments. This winter, Tony has a few projects on the go. They have already started digging open drainage ditches in strategic places. "They are not there to try and change the golf course or become hazards; they are hidden away in tree lines. We have a member here who has been looking at the topography of the course, where the actual water is running. With it predominantly being on clay, the water is just surface runoff. With what rain we have had, it seems to be working, so we will carry on with this work over the next few weeks." They are also trying to take the course back to where it used to be, trees that have been planted over the years are getting bigger and starting to encroach; blocking out views and making areas of the course wetter. "Over the next few months, we will be felling a lot of trees and thinning out. Some of the work will be done by ourselves and the rest will be done by a tree surgeon as it's quite a big project. A lot of this is about aesthetics, opening up the vistas around the course. We are quite high up and, when you work here all the time, you take them for granted. You look at some of the views that are being hidden by the trees, and that's a shame; they add to the experience when playing the course." Tony likes to use the Chorley Golf Club's Twitter account to interact with his members on a regular basis. "Every day I update the account with our morning jobs and afternoon jobs, to keep them informed about what we are doing. In the winter, we utilise it to inform members if the course is closed or open and of any restrictions on the course. We do have an information line, but only one person at a time can get through - but on Twitter, it's literally out there." Tony also writes a monthly blog explaining the previous month's work and the future plans. These are emailed to all members. He likes to think that the members appreciate the updates, and it stops any speculation in the process. When it comes to support from the golf club, Tony feels lucky to have a good greens chairman and committees behind him, especially with some of the stories he hears from other clubs. "It's a worry for them. I put it down to the demands on golf courses now. 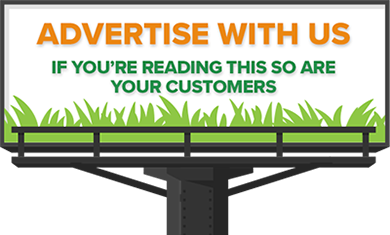 I think they're asking too much, and they have to realise we are dealing with a living thing in grass. We are dealing with nature, and there are so many factors outside of our control. 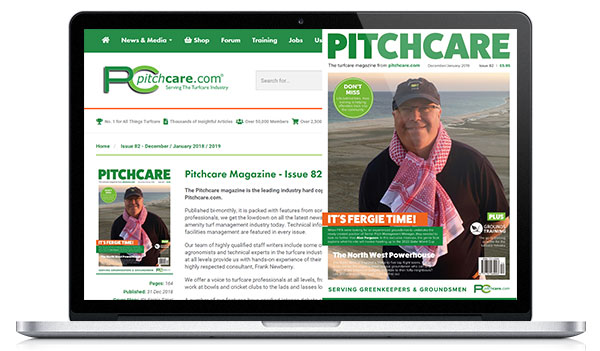 I don't think golfers understand the problems we all face as greenkeepers." "Golfers see these tournaments on TV and think 'why do our courses not look like that? ', but if only they knew what went into producing that course over four days, the investment and resources available." Tony recalls; "When I first started here, they had eighteen temporary greens which we cut all the way through the summer, so they were ready for winter. When the time came, they went on them all winter. They weren't happy about it, but that's how it was and, if the course was shut, golfers had a bit to say but, in the end, they just accepted it. Now it seems to have changed to where they want summer conditions in winter; it's just making the job more difficult." 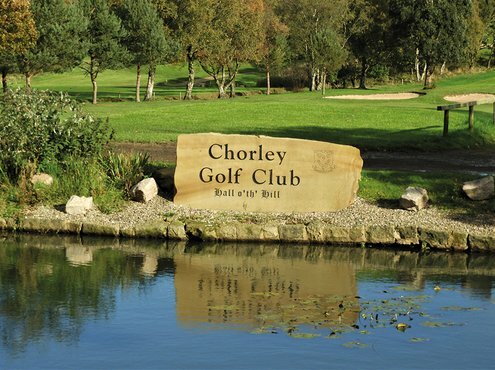 There are two aspects to the History of Chorley Golf Club as might be expected from the design of the clubhouse. The Hall o'th' Hill at its present site was built in 1724 although the design of the building puts it in an earlier period. 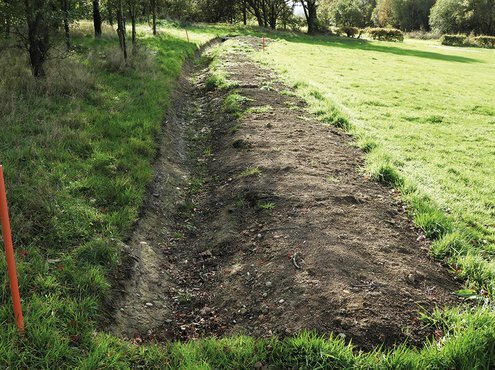 According to tradition, the original site is believed to have been on the moated site at Bretters Farm near the twelfth. Transporting buildings in this way was not unusual in the 1700s as other examples have been found in Lancashire. The original Hall was a much larger building facing south. The west wing was demolished and replaced by the new hall now facing west, as it is today. The Hall, in its current position, was built by Thomas Willis who died in 1727. The ownership of the Hall was passed down through the generations of the Willis family and, in 1890, was owned by Henry Randolph d'Anyers Willis born in 1834. 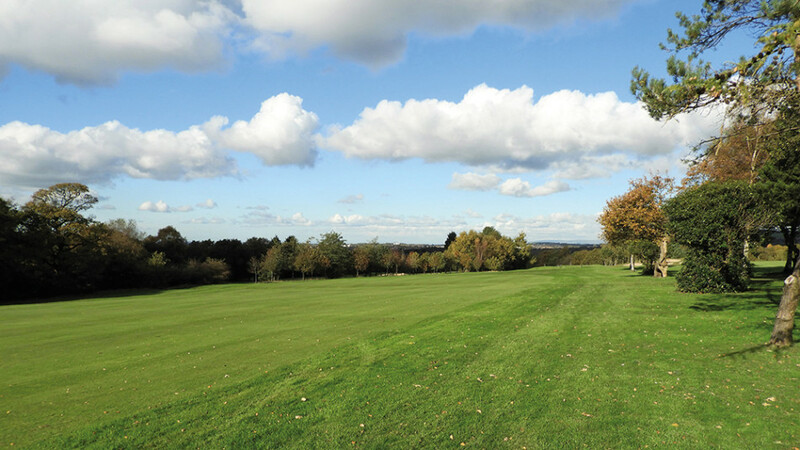 In 1897 the first Chorley Golf Club opened at Hall o'th' Hill as a nine-hole course. The course became favourable with professionals of the day, and it was pointed out that there was more ground in the vicinity on which a further nine holes could be produced. After numerous negotiations and searches for land capable of producing an 18-hole course, it was eventually decided to purchase the Hall o' th' Hill estate. In February 1925, J A Steer, the Blackpool South Shore professional, agreed to complete his design for an 18-hole course for the sum of £25. In June 1926, the course was opened; it would have been earlier but for the General Strike. J A Steer, one of the foremost architects in the country (courses at Bradda, Port Erin, Fairhaven and Blundellsands) summed up the course as "agreeably undulating without being very hilly." The layout of the course is in two loops with starting places at the first and tenth, with the ninth and eighteenth greens close to the clubhouse. When there are two possible starting holes there then came the argument of "which way round". This still poses questions for members today and will probably continue into the future. By April 1940, membership of the club stood at 84 men and 42 ladies. The times were reflected by granting courtesy of the course to visiting members of the forces, whilst members of the club who were also serving in the war had their subs waived. Some of the course fairways had to be broken up to render flat areas of ground unsafe for landing aircraft by the enemy. Club finances did suffer during the war but due to the generosity and capability of some of the members, none more so than G B Fletcher, Captain during the War. However, much work was required to reinstate the course to its former glory. 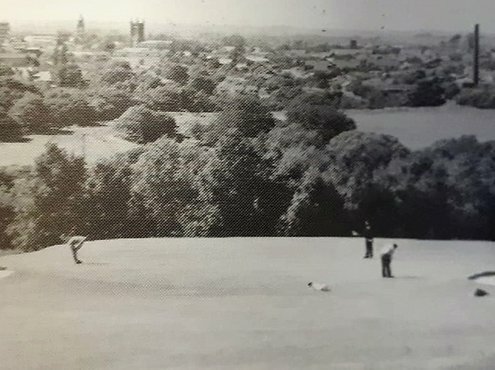 Through the next years the course and facilities continued to improve and, by 1960, membership stood at 128 men and 73 ladies. The sixties saw many improvements to the course and the rulings regarding safety procedures while playing the course. The eleventh tee was moved, and a protective screen set up to the left of the sixteenth tee following a "near miss". This showed an increase in the amount of traffic the course was taking, and further measures started to be taken to protect the course. By 1972, there was a waiting list of thirty members, even though subscriptions were increased vacancies being filled by selection as they occurred. By now, the course was well established, and although improvements were made to the course, as is still the case today, attention turned towards the clubhouse.